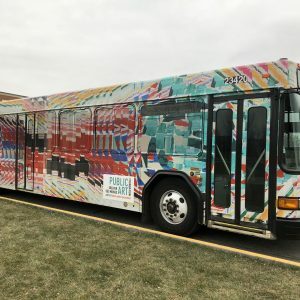 Des Moines, Iowa: On 13 March 2019 the Greater Des Moines Public Art Foundation partnered with the Des Moines Area Regional Transit Authority (DART) to unveil the ninth art bus. 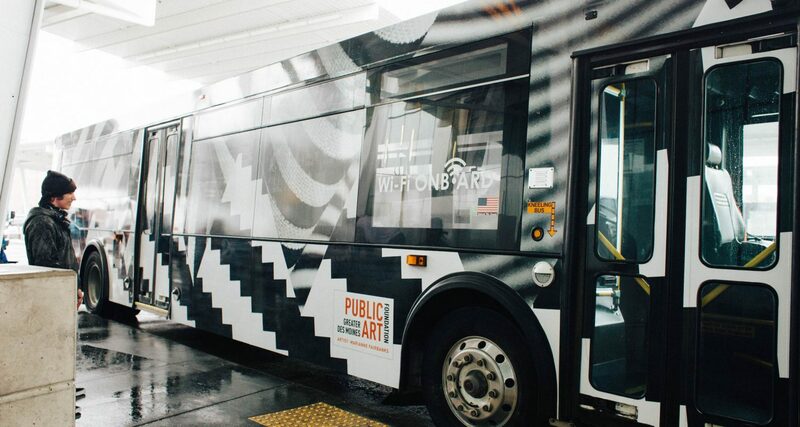 The Public Art Foundation commissioned artist Marianne Fairbanks to create the new art bus wrap, entitled Zigs Zag, Zags Zig. The project is part of the Public Art Foundation’s Project Spaces initiative, which places compelling, contemporary works of art in highly accessible and visible public spaces. The public can view the bus as it travels on DART bus routes throughout Greater Des Moines. 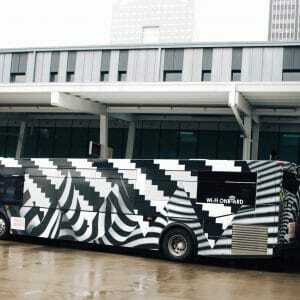 “Zigs Zag, Zags Zig” was designed to be wrapped around a large transit bus. The design was created by artist Marianne Fairbanks. The title of the piece refers to the back and forth nature of this design. Formally the work uses two different line-based patterns (one soft and undulating the other hard and diagonal), the sawtooth triangles that serve to interrupt and define the patterns, and a binary palate of black and white to create a cacophony of movement and some level of disorientation for the viewer. Conceptually, the work is grounded in ideas of a more emotional back and forth and how one can vacillate between polarities of feelings in this current moment, and in this case places as they travel to and from on the bus. 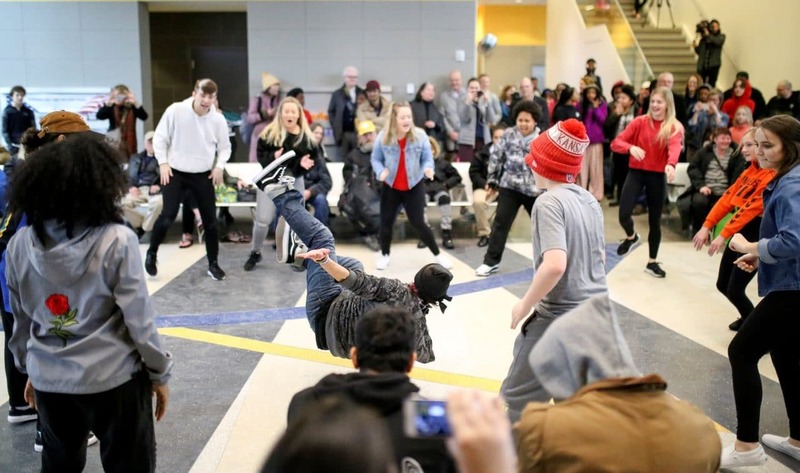 The Public Art Foundation also commissioned performing artists and dancers to celebrate the reveal of the new art bus with a flash mob at DART Central Station. Hip-hop artist MarKaus (aka Marquas Ashworth) orchestrated the event and debuted his new single, “Move”. Staff and board members from DART and the Greater Des Moines Public Art Foundation joined waiting bus riders, dancers and artists at the unveiling. Marianne Fairbanks is an assistant professor in the Design Studies department at the University of Wisconsin – Madison. She received her MFA from the School of the Art Institute of Chicago and her BFA from the University of Michigan (BFA). Her work has been shown nationally and internationally in venues including The Museum of Art and Design, NY, The Museum of Contemporary Art in Chicago, The Smart Museum of Art, Chicago, and Museum London, Ontario. Fairbanks is a founding member of Mess Hall, an experimental cultural space in Chicago, and co-founder of Noon Solar, a small business that made wearable solar technology to charge personal electronics. 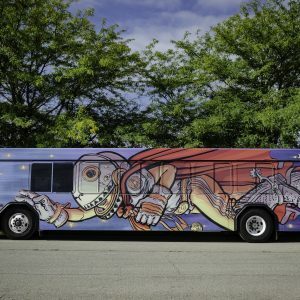 The bus wrap project began with an open call, which generated a response from artists across 21 states. A team of art professionals reviewed more than 325 images and finalists were commissioned to create concept proposals. This is the ninth in a series of DART buses that have been wrapped with unique and innovative compositions. 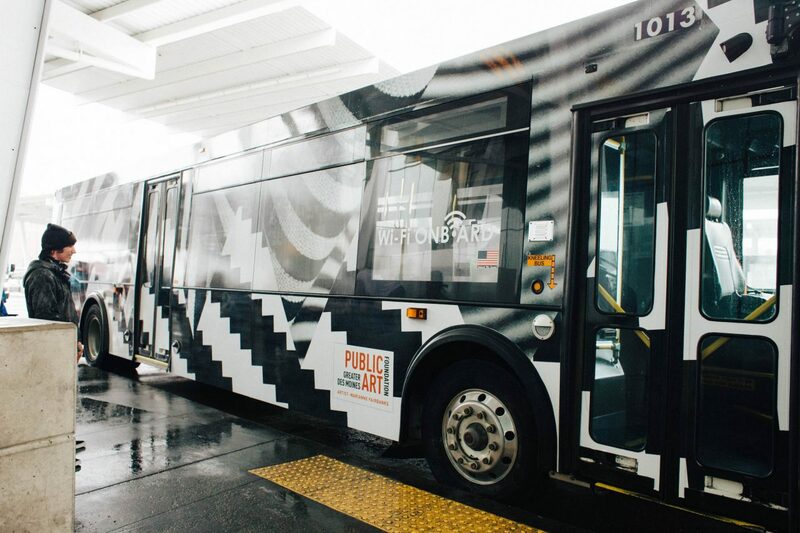 Previous art buses included designs by artists Alex Brown (November 2014), Jay Vigon (June 2015), Susan Chrysler White (March 2016), Larassa Kabel (June 2016), Brent Holland (October 2016), Jordan Weber (June 2017), Benjamin Gardner (December 2017) and Nick Goettling (June 2018). 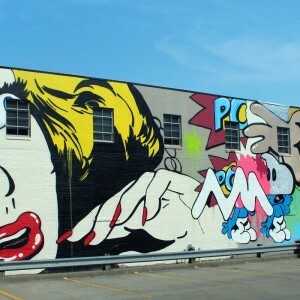 The Greater Des Moines Public Art Foundation, established in 2004, recognizes that art belongs not just in galleries and museums, but also in streetscapes, parks, buildings and infrastructures of a thriving community. Dedicated to envisioning, developing, advancing and promoting public art projects, the Public Art Foundation collaborates with local entities and artists to engage, inspire and enrich the lives of residents and visitors to the community. The goal is to increase awareness of our community as a world-class destination for public art. For more information about the Public Art Foundation, visit www.dsmpublicartfoundation.org. The Des Moines Area Regional Transit Authority (DART) is the public transportation provider in and around Polk County. DART operates a family of transportation services that connects thousands of people every day to jobs, school, medical appointments, entertainment and more. For more information about DART services, schedules, route changes, or directions to the nearest DART stop, visit the website at ridedart.com or call 515-283-8100.